DownWithTyranny! : Neil Young-Alan Grayson Contest Ending-- "They Can't Kill Us All"
Neil Young-Alan Grayson Contest Ending-- "They Can't Kill Us All"
Our Alan Grayson-Neil Young contest ends this evening at 9 PM (PT), midnight on the East Coast. 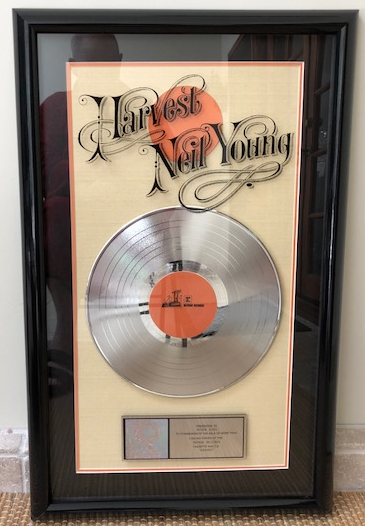 The randomly selected winner get a really beautiful double platinum RIAA-certified award plaque that was awarded for Neil Young's 1972 masterpiece, Harvest. It's very rare and would make an amazing Christmas present for the Neil Young fanatic in your life. (Yes, this triple digit weather will be ending in the not too distant future.) This page will explain how to win-- although it;'s easy: just qualify by contributing any amount to Grayson's campaign on that same page and then pray your name gets randomly selected. 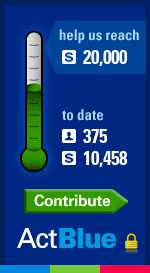 Another way to access that contest page, is by clicking on the ActBlue HARVEST thermometer on the right. I've worked with both Neil Young-- when I ran Reprise Records, where he was one of our top artists-- and with Alan Grayson, here at DWT while he was the best member of Congress. A couple of years ago Grayson gave up his House seat to run for the U.S. Senate. He didn't win and now he's running for his old Orlando-area House seat. The current incumbent, Darren Soto, is a nightmare who voted against women's Choice and for the NRA over and over again. He doesn't stand for anything at all except his own career-- the polar opposite of the kind of leaders we need in Congress. And found her dead on the ground? How can you run, when you know? Earlier today, we voted on memorializing the events-- the tragic events-- that took place 40 years and one day ago at Kent State University. Americans today, most Americans, are too young to remember what happened then, but I think that those of us who lived through that time and many others who thought about it, or saw afterward what happened, have this picture in their mind. This is Mary Ann Vecchio kneeling over the body of Jeffrey Miller at Kent State that terrible day, when four students were shot by American soldiers. I think we would honor them by remembering how and why they died, and that’s what I propose to do now. In 1968, Richard Nixon ran for President. He said he had a secret plan to end the war. That plan was so secret that apparently even Nixon himself didn’t know what it was; because when he was elected, he simply expanded the war. In November of 1969, the My Lai massacre exposed to the whole world, not just to Americans but to the whole world, the sheer brutality of the war in Vietnam. The following month in December of 1969, the draft was instituted. American college students and others, everyone of a certain age, everyone knew that they would have to serve in Vietnam unless the war was ended. And then on April 30th of 1970-- the first war ever announced on TV-- President Nixon announced the invasion of Cambodia by US forces. Almost immediately, there were protests at universities all around the country, including at Kent State. And those protests grew and grew day-by-day. And the right wing immediately mobilized against these protests. In Ohio, the governor, Governor Rhodes, said quote, “They’re the worst type of people that we harbor in America.”-- these students protesting against the war-- ‘I think that we’re up against the strongest, well-trained militant revolutionary that’s ever been assembled in America,’ and President Nixon chimed in by saying that the anti-war protesters were ‘pawns of foreign communists’. And so it was that four days after the announcement of the invasion of Cambodia, there was a protest that took place at Kent State University, Ohio. 20,000 students collected-- assembled peaceably-- to protest, and the National Guard was called in to drive them away. First, the National Guard attacked them with tear gas. The students took the tear gas canisters and threw them back at the National Guard. The National Guard drew its bayonets and charged the students, and forced them to a different location, but they still didn’t disperse, so at that point they shot them. Four Americans died that day, including Jeffrey Miller. Now, then as now, together both times, there are people all around the world, and especially people in America, who want to live in peace-- who think that no war is better than two wars, who think that we voted to end war, not to continue it. And after all, we know in our hearts, they can’t kill us all. There are people who think that we should be concentrating on education and not war, and we know they can’t kill us all. There are people who think that we should be concentrating on our health, our own bodies, improving our living standards, rebuilding America instead of war, and they can’t kill us all. There are people who believe, not only in America but all over the world, that we should be striving every day toward peace…toward peace-- not toward war-- and they can’t kill us all. 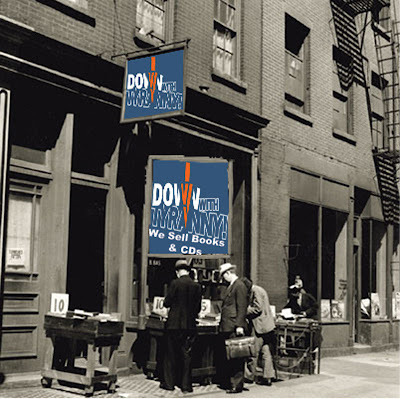 "When I read this myself, I feel that Neil Young is my brother from another mother. I want you to know what an honor it is, for me, to have this platinum award, this symbol of Neil Young’s greatness be part of our campaign. Please make a contribution and show your support for Neil, for me, and for PEACE." My sixteenth birthday. I don't need a tattoo to never forget.